Xystichromis sp. Flameback males have a green and silver lower body and a red upper body. 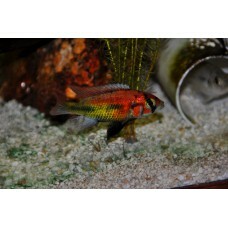 A black ve..
Xystichromis sp. Kyoga Flameback males have a red upper body and a yellow-green lower body. The body.. This is not your typical Albino Fish. 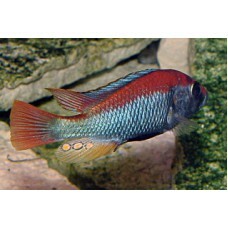 Males show peach red on the upper body and dorsal fin. 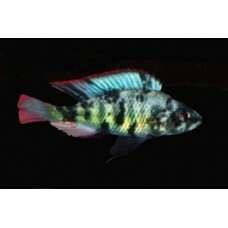 The low..
Paralabidochromis chromogynos Black Piebald are cream with black spots. 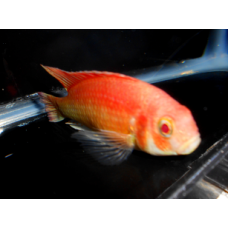 Males develop a yellowish bo..
Are we missing the fish you're looking for? Send us a request to stock it. Click here to request a fish now! Jay was very helpful with my order. He took the time to look at photos of my current fish and wrote a very detailed email about which ones would be good additions to my tank. His selection is nicer than any local pet store, and when the fish arrived they were in perfect health and condition. His . . . .